1. Berstad K and Berstad A: Helicobacter pylori infection in peptic ulcer disease. Scand J Gasroenterol 28:561-7, 1993. 2. Sarker SA and Gyr K: Non-immunological defense mechanisms of the gut. Gut 33:987-93, 1992. 3. 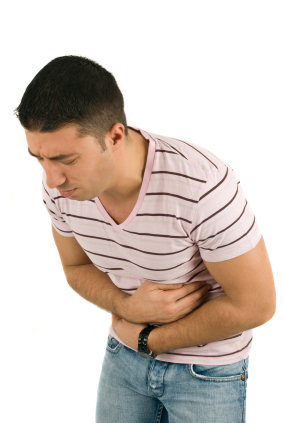 Levenstein S: Peptic ulcer at the end of the 20th century: biological and psychological risk factors. Can J Gastroenterol 13:753-9, 1999. 4. Weil J, et al. : Prophylactic aspirin and risk of peptic ulcer bleeding. BMJ 310:827-30, 1995. 5. Parasher G and Eastwood GL: Smoking and peptic ulcer in the Helicobacter pylori era.Eur J Gastroenterol Hepatol 12:843-53, 2000. 6 Marle, J, et al. : Deglycyrrhizinised liquorice (DGL) and the renewal of rat stomach epithelium. Eur J Pharm. 72:219, 1981. 8. Kassir ZA: Endoscopic controlled trial of four drug regimens in the treatment of chronic duodenal ulceration. Irish Med J 78:153-6, 1985. 9. Turpie AG, Runcie J and Thomson TJ: Clinical trial of deglycyrrhizinate liquorice in gastric ulcer. Gut 10:299-303, 1969. 10. Rees WDW, et al. : Effect of deglycyrrhizinated liquorice on gastric mucosal damage by aspirin. Scand J Gastroent 14:605-7, 1979. 11. Tewari SN and Wilson AK: Deglycyrrhizinated liquorice in duodenal ulcer. Practitioner 210:820-5, 1972.
growth. Arzneim Forsch 45:697-700, 1995.